LonAdd HR Consultancy Plc (www.lonadd.com), Recruitment & Outsourcing Company will be working on behalf of our Client American Jewish Joint Distribution Committee in the recruitment process of suitable & knowledgeable candidate, as per our Clients specific requirements. Location: Based in the Federal Ministry of Health, NTD Team, Addis Ababa, requiring travel to field. This position is to assist a joint technical assistance project by the JDC and NALA. Digging potable water wells, building primary schools, and providing vocational training and university scholarships for women. JDC’s medical program continues to provide life-altering treatment to young people, particularly patients suffering from spinal deformities and those who need heart surgery or treatment for Hodgkin’s disease. Assisting regional, national and international actors in designing and implementing programs for controlling Neglected Tropical Diseases (NTDs) and other diseases of poverty using community engagement and health education for behavioral change. Researching, developing and testing new NTD control modalities and tools. Advocating for holistic NTD control models with stakeholders and decision makers that promote behavioral change. The JDC/NALA partnership is looking for an experienced Public Health Professional and would like to invite qualified and interested persons to apply for the post. Neglected Tropical Diseases (NTDs) are a diverse group of communicable diseases that affect more than one billion people, costing billions of dollars every year. They mainly affect populations living in poverty, without adequate sanitation and in close contact with infectious vectors and domestic animals and livestock. NTDs deepen marginalization, stigmatization and social and economic burden or rural and economically disadvantaged populations. The FMoH has launched its first national NTD Master Plan in 2013. The 2013-2015 master plan put in place a structure at the Federal Ministry of Health (FMOH) to coordinate NTD control and elimination interventions and intensified country-wide disease mapping, so as to enhance evidence-based program management. The FMoH Strategic plan for 2016-2020 widens the NTD control efforts, and proposes a holistic approach that includes investment in social and behavioral change, and water, sanitation and hygiene improvements. Nine NTDs are prioritized for intervention: Trachoma, Onchocerciasis, Schistosomiasis, Soil Transmitted Helminthiasis, Lymphatic Filariasis, Podoconiosis, Leishmaniasis, Dracunculiasis (Guinea-Worm Disease) and Scabies. The strategy positions community empowerment and mobilization as central elements to NTD prevention and control, and stipulates that success in achieving the health related sustainable development goals (SDGs) requires active and meaningful participation and ownership by communities and strong partnerships between households and health workers. The strategy aims to utilize the Health Extension Program and Health development army structures as the main driving force for community mobilization. NALA has been working in Ethiopia to eradicate NTDs since 2008. 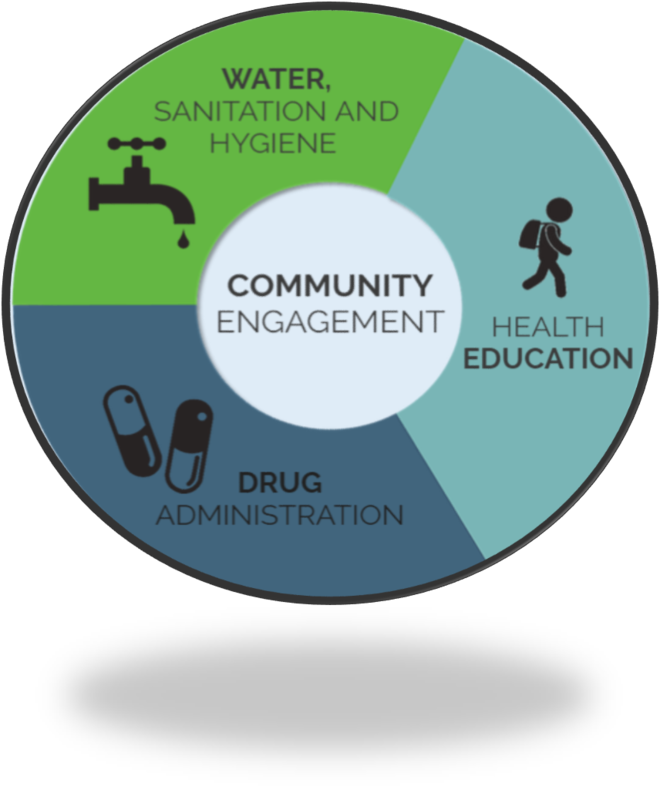 Throughout these years, a comprehensive learning process has evolved into the formulation of an approach, the NALA model (figure), that enables the community to take charge of sanitation and hygiene improvements targeted towards behavioral change and that result in a measurable reduction in the prevalence of NTDs. In light of NALA’s success in creating an effective model for community engagement, the Ethiopian Federal Ministry of Health (FMoH) and Sightsavers UK has requested NALA to provide technical assistance in developing and coordinating behavioral change and WASH interventions for NTDs, focusing on the F&E elements for Trachoma elimination. Sightsavers UK is a non-profit organization appointed to manage the implementation of the DFID funded Trachoma project in four countries including Ethiopia. The technical assistance aims to support the Ethiopian FMoH in intensifying the behavioral change approach, and in creating and rolling out a set of tools to support inter sectorial coordination of WASH and NTD, community engagement and mobilization for behavioral change interventions targeting the NTD program. In addition, special attention and implementation support will be given to disease hotspots/woredas in which the NTD burden is especially high. In addition, support will also be emphasized for behavioral change and WASH elements (the F&E elements of the SAFE strategy) in Trachoma elimination programs implemented in 70, DFID-SAFE project, supported woredas. Trachoma is a neglected tropical disease and also the world's leading infectious cause of preventable blindness. Ethiopia has the highest prevalence of active trachoma globally (30% of the sub-Saharan trachoma burden). Currently, efforts like ONE WASH program and implementation of SAFE strategy are being invested aiming to eliminate trachoma as a public health problem by 2020. The SAFE Strategy includes: Surgery services to prevent blindness; Antibiotic treatment to reduce the incidence of infection; and behavior change interventions to promote Facial Cleanliness and Environmental Improvement to sustain the effects of the interventions. These programs are implemented by NGOs that are supported by Sightsavers in four regions in Ethiopia (Orbis in SNNPR, Carter Center in Amhara, FHF in Oromiya, and Light for the World in Tigray). 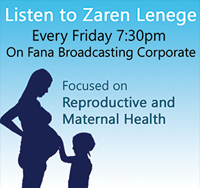 Influence sustained behavioral change that leads to disease control and elimination in NTD affected communities. Improve WASH conditions, creating a community process that leads to finding locally based solutions that can be created and maintained by the community itself. Support efforts to test and roll out key trachoma, face washing, and healthy hygiene and sanitation behavioral change interventions by the Trachoma partners in the 4 priority regions. Has strong analytical skills .Thinks and acts strategically and ensures that activities are prioritized and aligned within an agreed strategy. Able to engage in multiple activities at the same time. University bachelor degree in public health or nursing or environmental health AND master’s degree, preferably in a relevant subject matter such as public health, environmental health, behavioral sciences, international development, management, or communications.